REAAL is a patented Essential Amino Acids supplement that isn’t just for pre-workout bodybuilders (example – ME!) Almost anyone could benefit from using REAAL. Muscle maintenance and restoration is an important consideration for everyone because healthy muscle tone and maintenance improves overall health. 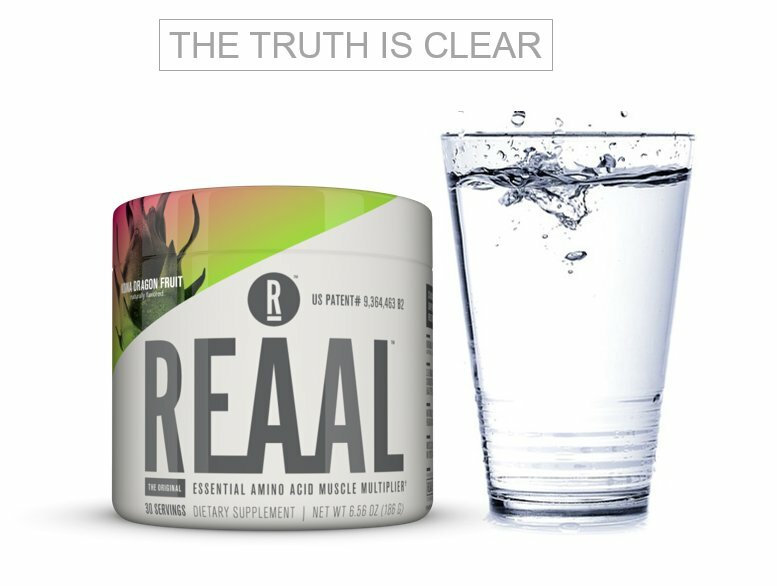 REAAL provides the optimal ratio of essential amino acids to not only optimize muscle growth, restoration, and maintenance, but to also increase overall health in terms of improving the health of tissues and organs, brain health, metabolic function, and every physiological process in our bodies. Using REAAL supplements helps me with my Energy! I take capsules in the morning with a healthy breakfast because I am not a fan of protein shakes but appreciate the ingredient benefits. The capsules help give me that extra boost and you can use it for recovery after workout, before workout or just for for an energy boost. I’m only taking it once a day so far, but the instructions say you can take up to 10 times a day to get the extra boost if needed. 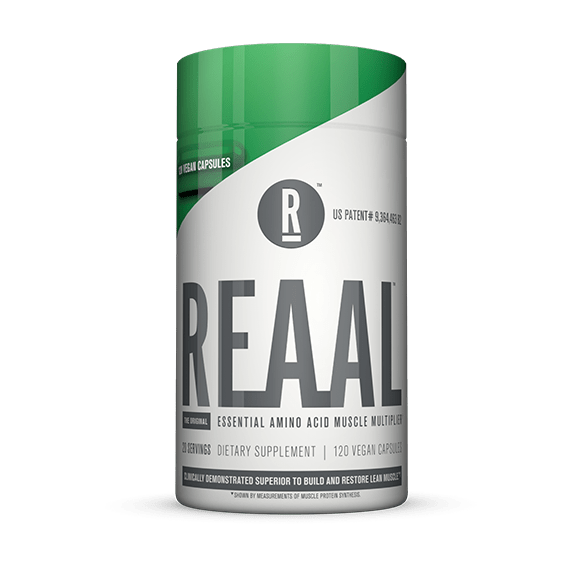 REAAL marks the next generation of optimal muscle growth and repair, and whey protein powder and BRANCHED CHAIN AMINO ACIDS (BCAAS) supplements alone are now obsolete. Why? BCAAs don’t have a significant effect on muscle protein synthesis in the human body as they lack 6 of the other essential amino acids required for the process to be completed. REAAL is a patented EAA (Essential Amino Acid) technology based on 40 years of research and 24 clinical trials conducted on amino acids. 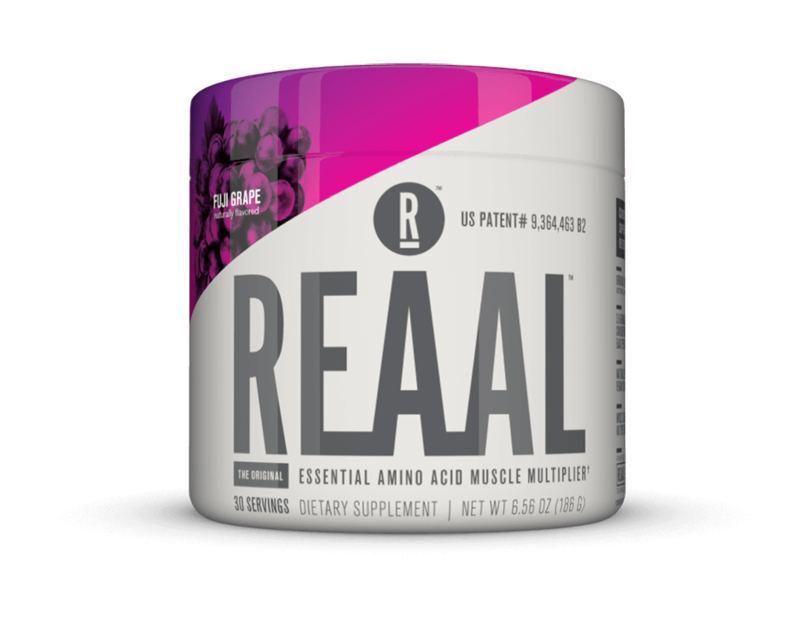 REAAL includes compositions and ratios of the nine essential amino acids discovered to be most effective at facilitating muscle growth and restoration. *Note: Statements regarding dietary supplements have not been evaluated by the FDA and are not intended to diagnose, treat, cure, or prevent any disease or health condition.